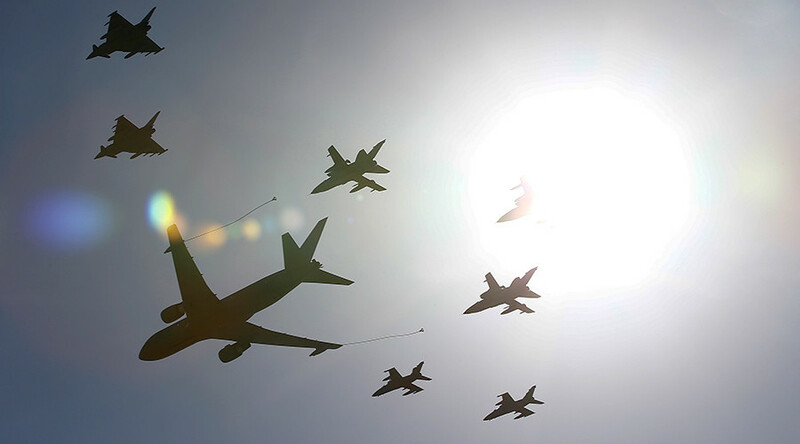 Russian and US air forces have staged joint drills to practice air safety measures in the skies over Syria, according to the Russian General Staff, which also reported that its military has begun to coordinate with Syria’s moderate opposition forces. In the course of the drills, both the air crews and ground services of Russian and US forces drilled procedures aimed at avoiding problems in case the two countries’ military aircraft find themselves in dangerous proximity in Syria’s skies, Russian General Staff spokesman Colonel General Andrey Kartapolov said on Tuesday. “The exercises took place at 11:00 Moscow time (08:00 GMT) [on Tuesday],” he added. The joint drills come after Moscow and Washington signed a “deconfliction” memorandum last week to ensure air safety over Syria. “The test was conducted. This test was a prudent measure solely to ensure that, in the event coalition aircraft encounter a Russian aircraft during operations in Syria, one of the established and agreed upon modes of communication in the agreement functioned,” Davis said in a statement. The spokesperson stressed that Russian-US military cooperation is still formally on hold. In another development on Tuesday, Russian air forces made 12 sorties and hit 24 terrorist facilities at coordinates received from Syrian opposition forces. Russian jets have struck terrorist targets “near Tadmor, Deir ez-Zor, Itria and east of Aleppo, with coordinates of all these targets being given to us by the representatives of the opposition,” Kartapolov told a press-conference. The Colonel-General also confirmed that the Russian military has been in communication with the leaders and commanders of some Syrian moderate opposition groups, noting that Russia had repeatedly said it was ready to “cooperate with all Syrian patriotic forces fighting Islamic State terrorists, Al Nusra Front and other terrorist groups." Overall, Russian air forces have struck more than 2,000 terrorist targets in Syria since the beginning of the anti-terrorist operation and are continuing to launch airstrikes against Islamic State and Al Nusra Front. “Since the start of the operation, our planes have made 1,631 sorties and hit 2,084 terrorists’ military infrastructure facilities,” Kartapolov said at the press-conference, adding that the list of objects destroyed by Russian military jets included 287 command posts, 52 training camps, 40 explosives and missile workshops, and 155 ammunition and fuel depots.